When I initially heard about this film, I didn’t know what to think about it considering the fact that I’m not the biggest fan of Jordan Peele of the critically acclaimed comedy sketch show Key & Peele and last years Keanu. 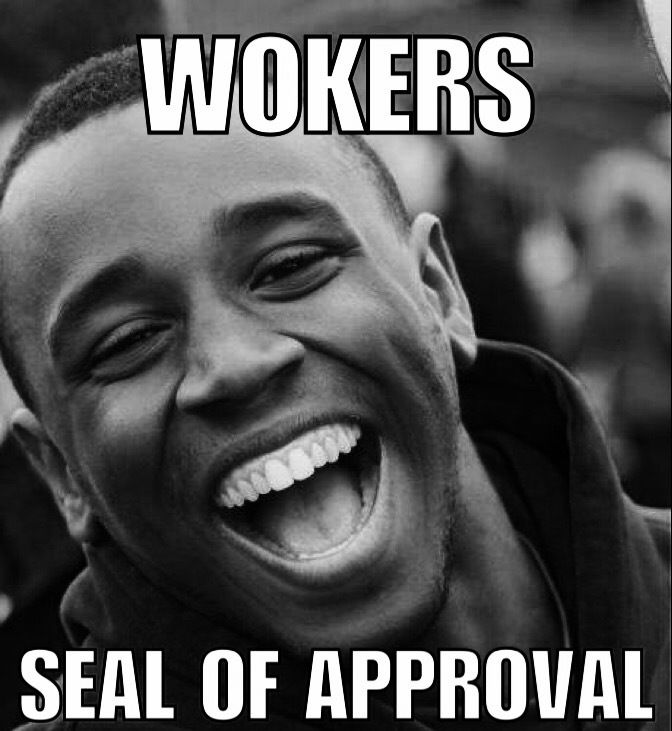 There is a saying that comedians are extremely intelligent people and have the ability to make you think through their comedy so it was a bit of a surprise that he opted to go for a horror film that touches on the themes of racism. Either way when I heard of the premise and saw the first trailer of this movie I had to see it as soon as possible. Chris Washington (Daniel Kaluuya) and his girlfriend, Rose Armitage (ALLISON WILLIAMS). 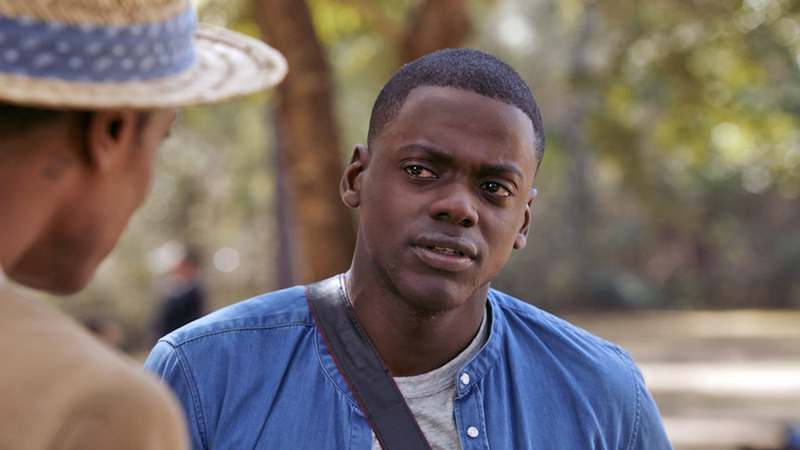 Get Out revolves around Black Photographer Chris Washington (Daniel Kaluuya) who is in an interracial relationship with White Girl Rose Armitage (Allison Williams). Five months into their relationship Rose decides that its time for Chris to meet her family but Chris feels a bit awkward about the visit as the family is not aware that he is black, but Rose assures him that they are not racists and he has nothing to worry about. With Chris mind put at ease the two set out to visit the Armitage household. 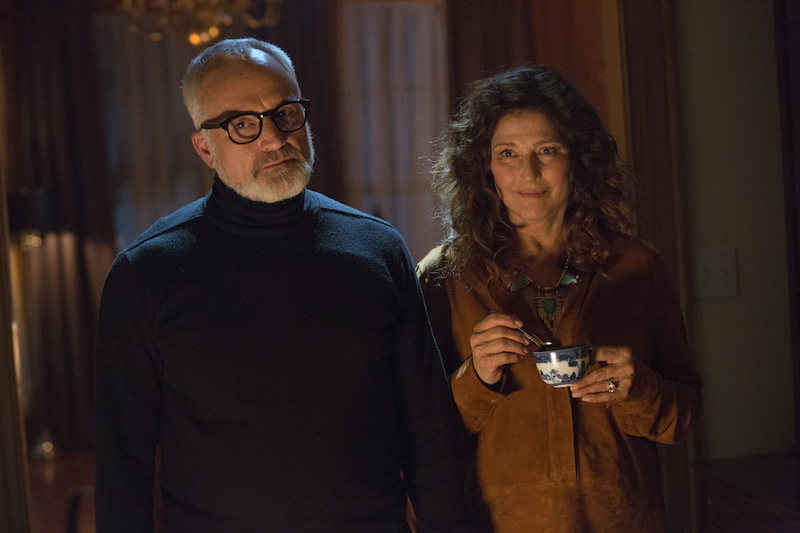 Meet Dr. Dean ( Bradley Whitford) & Missy (Catherine Keener) Armitage. Upon arrival, Chris and Rose get a warm welcome by Rose’s parents Dean (Bradley Whitford) a doctor who keeps reminding everyone he would have voted for Obama a third time and Missy (Catherine Keener) a therapist who is addicted to tea. All seems dandy on the surface but things aren’t what they seem as Chris gets suspicious when he discovers black servants like Georgina (Betty Gabriel) and Walter (Marcus Henderson) are acting extremely strange. Convinced that there is a sinister plot at the house, Chris begins to realize he needs to escape or he could suffer a terrible fate. Do Peele and his cast do enough to tell a thought provoking horror or is it one you should get away from? Lil Rey Howard as Rod Williams, Chris’s best friend. Credit must be given where it’s due, Jordan Peele has written an extremely good story and made an inspired choice using the horror genre to get his point across. In the right hands Horror movies aren’t just films that scare the audience. They are powerful vehicle for social commentary, a point that has in exemplified in films like George Romero’s Dawn of the Dead or Polanski’s Rosemary’s Baby. 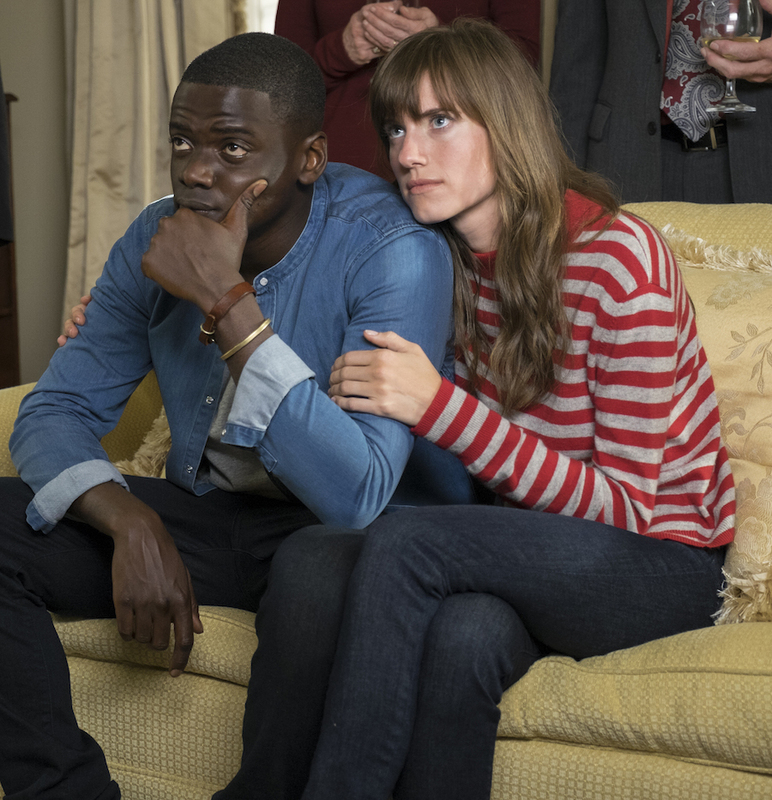 It’s extremely difficult to talk about the larger themes of Get Out without spoiling the movie and its something I will not even attempt to do as I feel that this is something the audience should see (I will talk about in a future editorial). I can however divulge the fact the movie obviously puts interracial relationships into the spotlight. One thing that really impresses me about the whole movie is that it could have contained a stereotypical Hollywood depiction of racism with characters who outwardly oppose the relationship and Chris’s skin colour but it doesn’t beat its audience in the head over the topic but instead presents a school of thought and perspective that the people don’t normally think about and this will definitely rattle some viewers. It exposes the dangers of liberal ignorance and pomposity when it’s allowed to grow which ultimately leads up to the film’s insane conclusion. I will also say that even though it focuses on black people, the theme the movie presents is not exclusive to one race and everyone from other ethnic groups can relate to the movie’s message. From the opening moments of the film you will immediately realize that this movie theme on race gives the movie a sharp edge over your typical horror movie. Yes it has your typical jump scares, yes it has unsettling music but it truly uses its motif to elevate the film’s status and it will keep you seated throughout the film’s tenure as it will ring so close too home for many despite the situation being over exaggerated. The movie takes cues from The Twilight Zone and The Stepford Wives to create an unnerving narrative and Peele even manages to add his trademark sense of humour to the overall proceeding which helps turn Get Out into a clever satirical film that is simultaneously hilarious and frightening. British actor Daniel Kaluuya is the most important piece of the movie and he fits in like a nice leather glove. 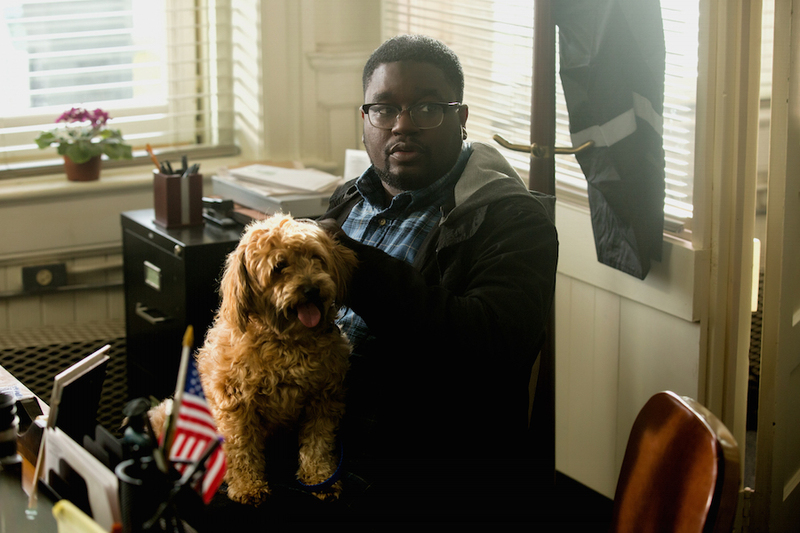 Kaluuya’s Chris is the likeable everyman protagonist who is unfortunately dragged into a very uncomfortable situation. His actions, his words are wisely chosen and performed as he acts like the avatar to the audience, many of whom will observe that something is wrong with the Armitage estate. With a role of this type he could gone to one extreme but Kaluuya navigates through the minefield of paranoia and genuine concern with ease not overdoing any of them, which makes it easier for the audience to believe his suspicions and buy into his cause. Everyone who sees this film will agree with me that the stand out performer is without a doubt Lil Rey Howery who plays Chris’s best friend Rod Williams a TSA officer. Even though he is not physically present with the other actors he helps Chris through his troubles through a series of entertaining phone calls. In a film that is mostly horror he manages to provide the film with its biggest laughs thanks to his comedic timing an extremely hilarious dialogue. At a glance this element could have created a huge conflict with the overall tone but it rather becomes a great supplement as his sequences become the perfect remedy to cut the tension and provide the audience with much needed levity as he channels Peele’s immediate thoughts and to a larger extent the audience of the events that are transpiring through his words and actions. Chris realizing that something is not right. Some people might not appreciate the movie’s slow burn approach but in all honesty, the slower approach makes the film more interesting as it forces the viewers to pay attention to what is going on and since the movie tells its story extremely well you’ll have a good time putting the pieces together. This movie will make you jump. 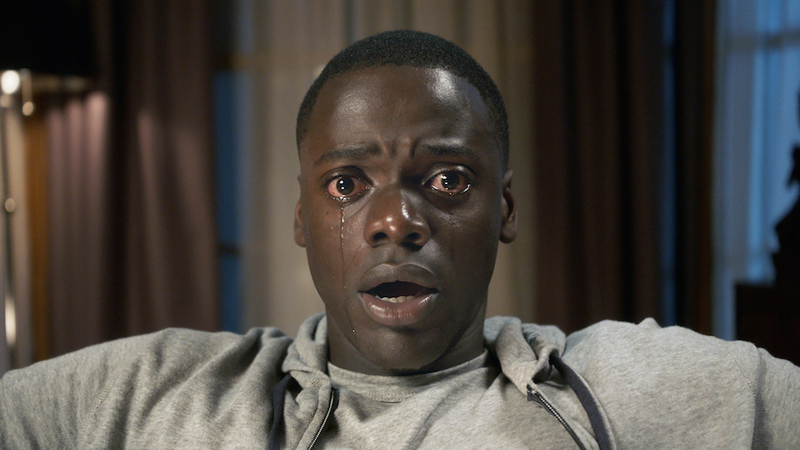 Get Out is a thought provoking horror with comedy elements that is thoroughly enjoyable to watch from start to finish. Watch this movie as soon as you can.